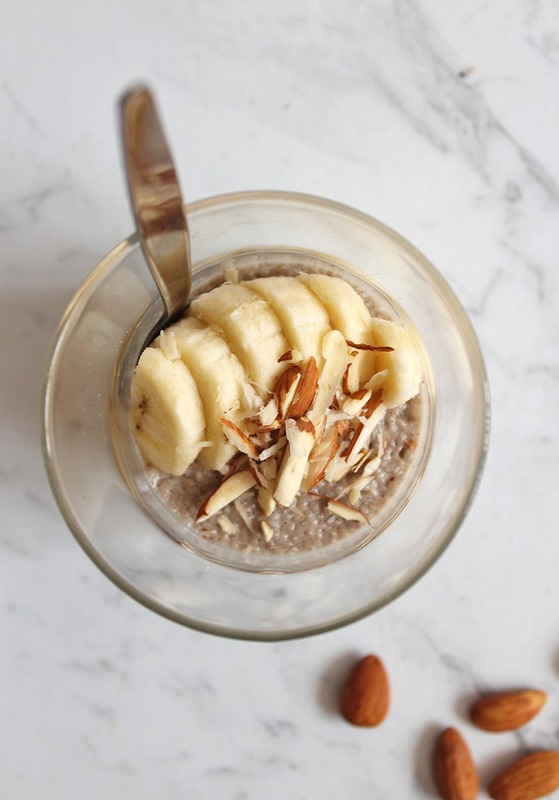 This Vegan Vanilla Chia Seed Pudding is thick, creamy and tasty. Paired with vanilla, pure maple syrup, banana and shaved almonds; it’s quite the healthy treat too! 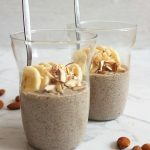 Chia seed pudding has that kind of texture that you either love or hate and the first couple of times I felt the latter towards it. It was just far too gooey and runny for my liking, but after a couple of adjustments in the seed to liquid ratio, I was able to create a texture that closely resembles a thick chocolate pudding. When I could take a spoonful and it would still hold its shape is when I started to come around. 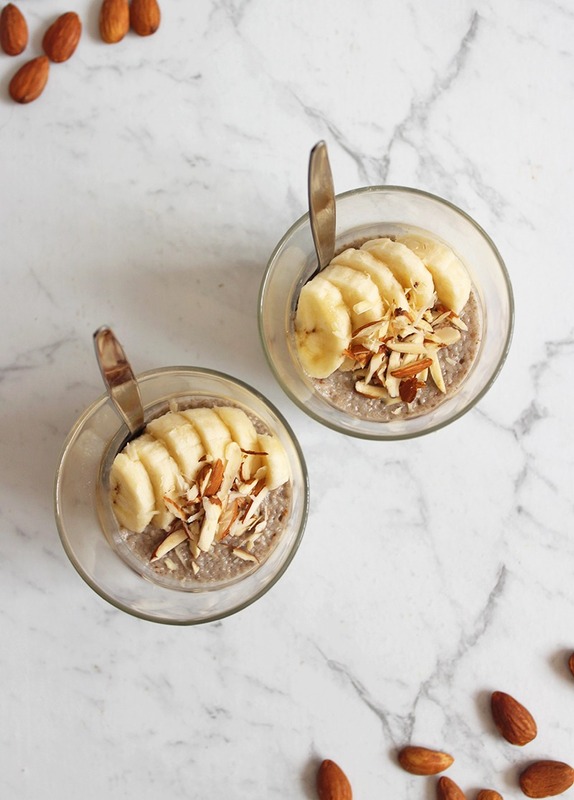 Chia Seed Pudding is not only a yummy treat, but it’s also super healthy for you. Chia seeds themselves are packed with nutrients including fibre, protein, omega-3s, calcium, magnesium, zinc, antioxidants and B vitamins… just to name a few! They’re also a whole-grain food that is naturally free from gluten and incredibly versatile. 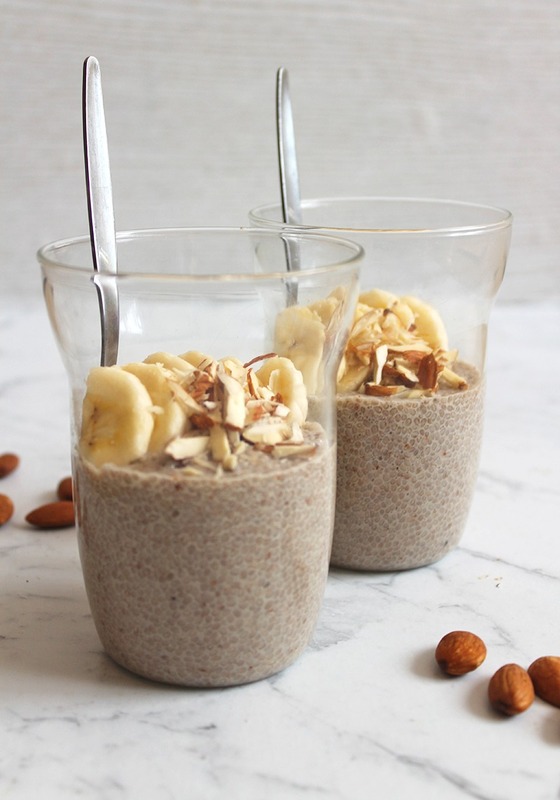 Making these Chia Seed Puddings is pleasantly simple, all you really need to do is combine your chia seeds with your liquid of choice (in this recipe, we’re using almond milk) and give it a good mix. You’ll notice that they’re already starting to thicken and become gelatinous. Next, you can add in your sweeteners and any extras such as maple syrup and vanilla extract. Place your pudding in the fridge for up to 3 hours to allow it to thicken as much as possible. Then you can dress your Chia Seed Pudding with whatever delicious toppings you have on hand, then enjoy! If you’re looking for a similar sweet breakfast or dessert recipe, check out this Cinnamon Banana Bread! 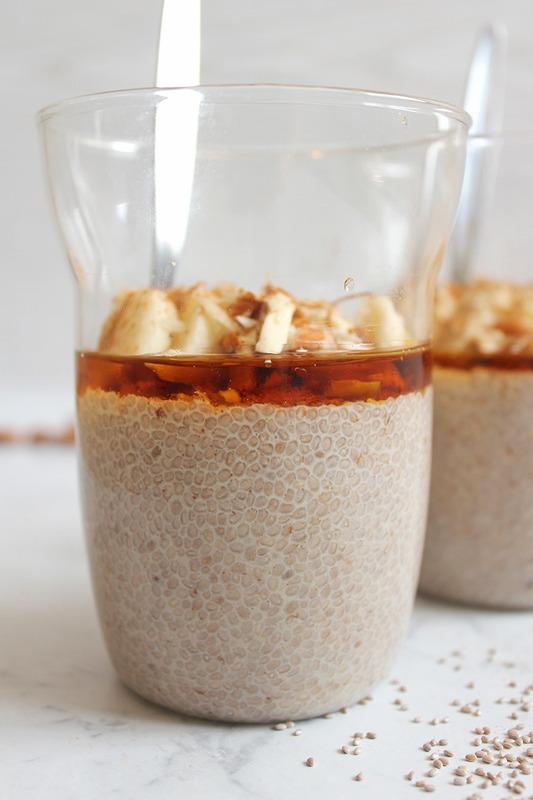 Combine the chia seeds with the plant-based milk and stir well. Add the maple syrup and vanilla extract and stir again until the mixture starts to thicken slightly. Cover and refrigerate for approximately 3 hours or until you’re happy with the consistency of it. Remove from the fridge and add your toppings of choice. * I used sweetened almond milk, however, any plant-based milk will work well also!